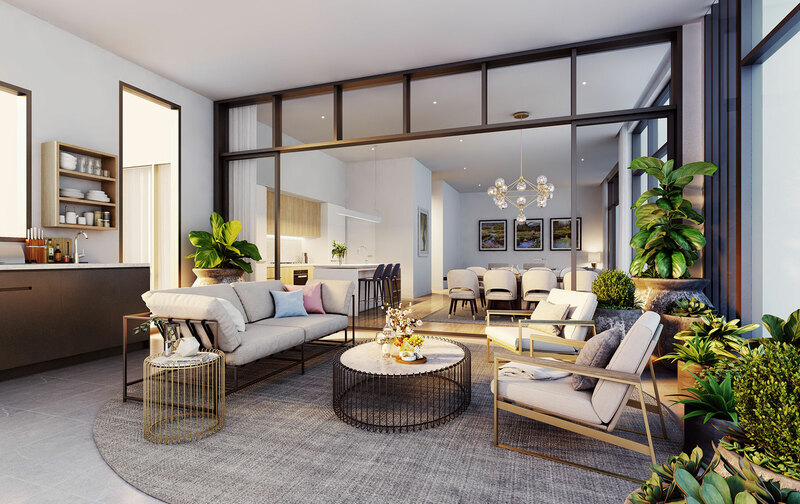 The Penthouse Collection is the crowning glory of Esplanade, a visionary new residential and lifestyle precinct shining a light on the inspirational re-imagining of Norwest Lake. 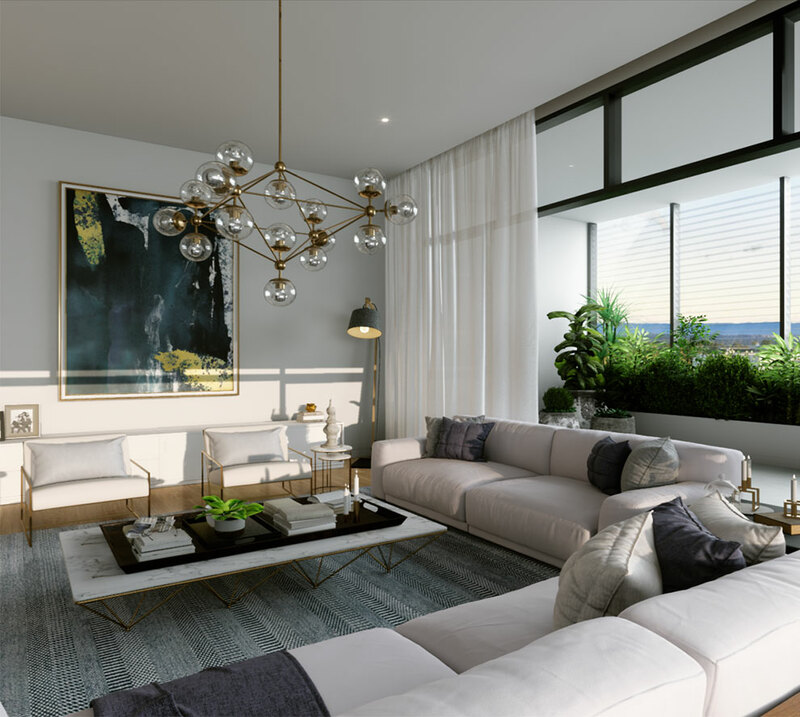 Award-winning architects Turner have delivered a limited selection of skyhomes where emotive design, luminous interiors and scenic views combine to create spaces of luxury and light. 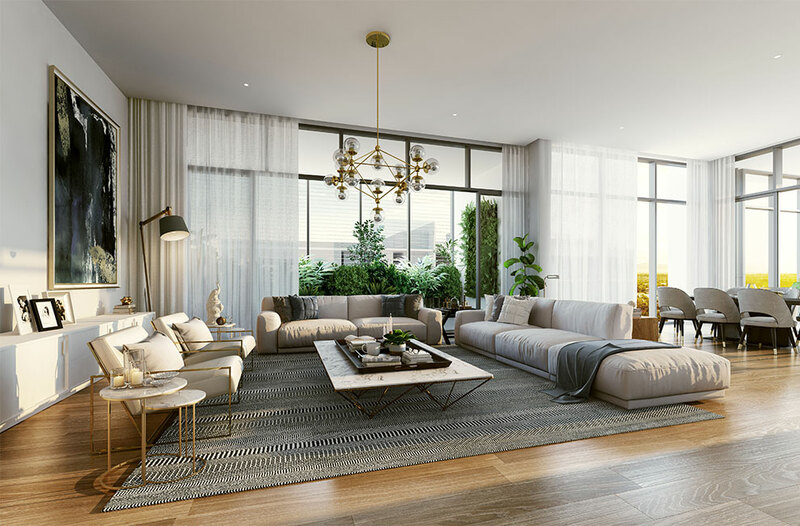 These three and four-bedroom penthouses encompass expansive alfresco entertaining space across the separate terraces, complete with integrated barbeque stations. 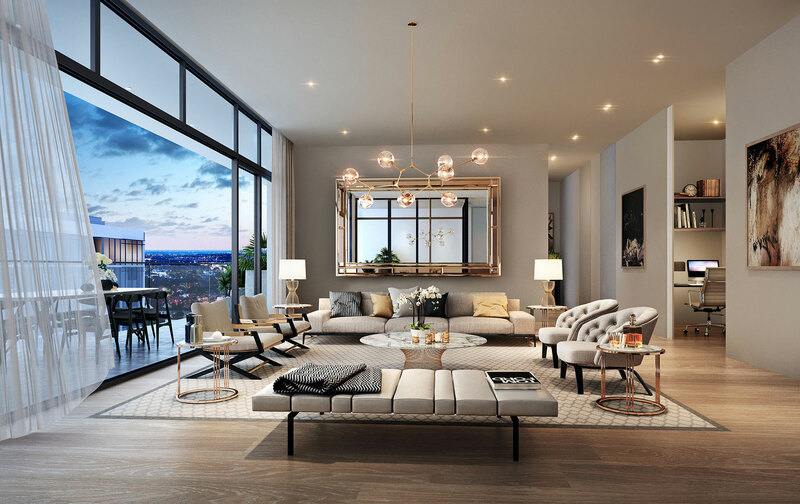 Floor-to-ceiling glass illuminates the interiors and enhances uplifting vistas extending north-east across the lake to the city skyline or back to the Blue Mountains. Finishes are of the finest calibre, with a choice of two elegant colour palettes, beautiful European oak flooring and bespoke timber-grain joinery. 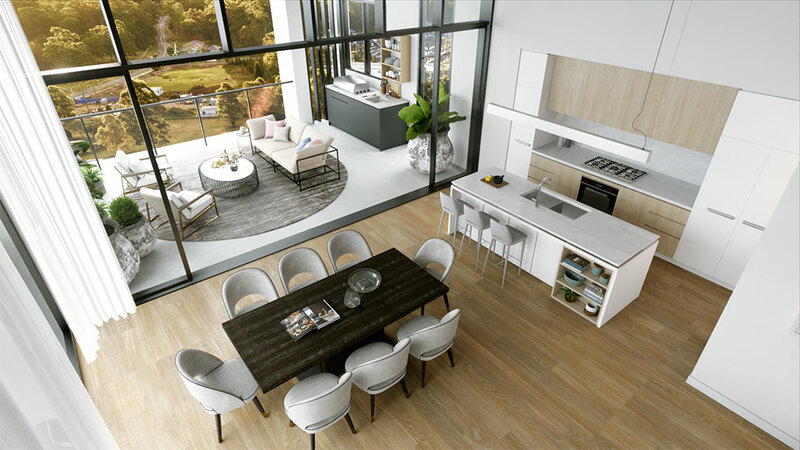 Sophisticated kitchens are graced with 40mm engineered stone benchtops, Miele appliances, an integrated fridge plus a wine fridge, along with a butler’s pantry for effortless entertaining. In addition, designer finishes add drama to the kitchens and master bedrooms, while freestanding baths, heated towel rails and chrome fittings create luxurious bathroom environments. 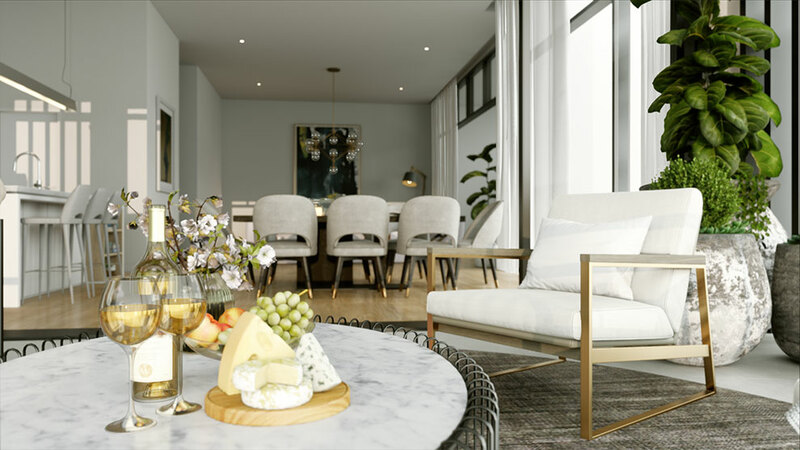 Entertain your friends and family in complete style and comfort, with generously proportioned, beautifully appointed living and dining spaces bathed in natural light. A fluid transition from the kitchens to the terraces makes indoor/outdoor entertaining effortless, with a backdrop that’s beautiful by day and dramatic by night.